The Southern California Yachting Association will hold its 28th annual Women’s Sailing Convention on Feb. 4. 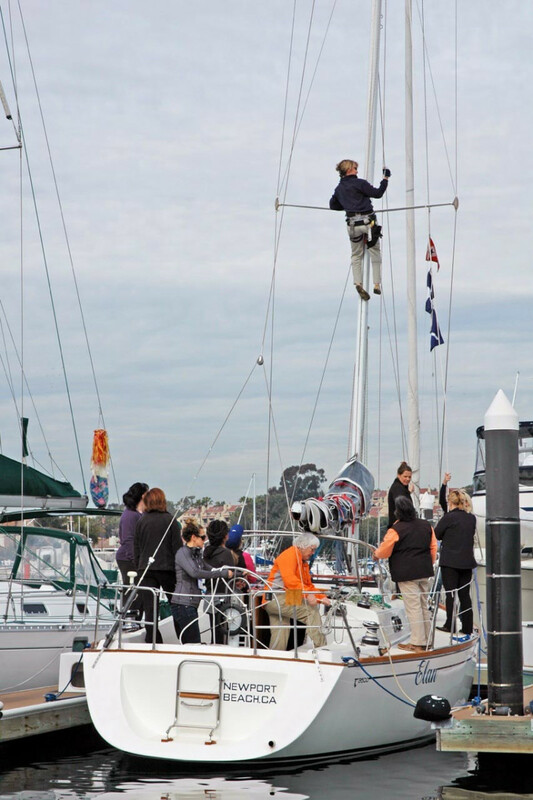 “Going Up the Mast" is among the topics covered at the Southern California Yachting Association’s Women&apos;s Sailing Convention. The Southern California Yachting Association will hold its 28th annual Women’s Sailing Convention on Feb. 4 at the Bahia Corinthian Yacht Club in Corona del Mar. Organizers said the daylong, women-only series of shore- and boat-based workshops offer everyone from beginners to experts a welcoming environment to learn more about all topics sailing. BoatUS has been the event’s primary sponsor since its inception. Attendees select a combination of workshops that best fit their interests and abilities. Organizers said course instructors are top female sailors from all over Southern California, many of whom are Coast Guard-licensed captains. The convention fee of $215 includes workshops, breakfast, lunch, dinner, souvenirs and handouts. Prepaid registrations are required, as space is limited to about 220 people.